Knocking at her door, was a neighbor from a few doors down. She hadn’t spoken with him in a while, but he came by to invite her family to a benefit dinner for “Legacy Mission Village“. Down the street lived a couple who had fled Rwanda years earlier and settled nearby to make a new life for themselves. In the process, their hearts were moved to give other refugees the same chance and so opened a center to help refugees begin again. Devoted to their mission, they were seeking financial and volunteer support to keep up with the growing needs of the many families they would serve. Not only was the benefit a financial success, but reports later surfaced from the patrons themselves that they too had received benefits (spiritual, emotional and social) from their support of the mission. We are often reminded by a sister in Christ that God will never be outdone in generosity (St Ignatius of Loyola) and that our acts of kindness and charity are not unseen by Our Gracious Father. Even when there is no intent of personal gain, we cannot escape the goodness of the Lord when acting in obedience with His will, especially when it costs us something of ourselves (Deuteronomy 28:1-14). 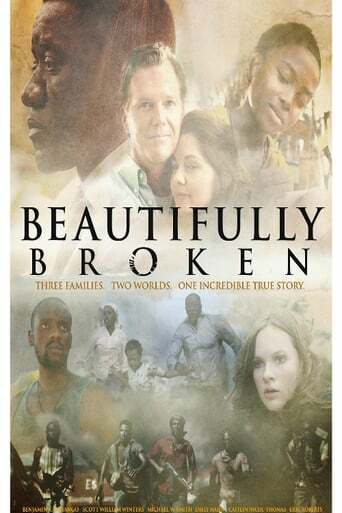 The Legacy Mission Village continues to provide English classes, tutoring for children, and other social services, and recently inspired a major motion picture and original song, “Beautifully Broken”. How we will pray: Pray to the Holy Spirit for light in which He directs me to a neighbor who needs love. How we will act: Go out of my way to assist someone in need, revealed to me by the Holy Spirit. The widow gives from a place of deficit. This is the key of true charity; what we give, whether donating clothes or food, is certainly a good thing. But when we give from a place of deficit we are more aligned to heart of Christ. The cross cost him. He sacrificed his life with a heart full of love for all of us. As Saint Therese Of Lisieux taught us, it is to do even the smallest thing with great love, with a heart aligned to Christ’s. For example, we joked about the “taxes” kids are sometimes asked to pay on their treats from their parents; a lick of ice cream, a Snickers from the Trick or Treat bag; a few french fries from the “Happy Meal”. These small offerings may seem like nothing to the receiver, but giving from a limited reserve can feel weighty to the giver. Therefore, even a small amount can be great charity, especially if that limited store is of our time, energy or understanding when dealing with others. Jesus warns us of how ugly PRIDE looks on people, especially when it is worn by people of faith. One of our members called it the “sin of smugness” in our faith walk. We must all be focused on what God thinks of us, rather than how well we think of ourselves or what others think. A whole lot of earthly good is nothing if done with a smug heart. It is so easy to feel good about ourselves when we start out with a heart truly desiring to help or do well, but so quickly we lose our purity of intention. The enemy is always trying to steal away from us our desire to serve Christ. Every day, we must remember to pray for the grace of Christ to make our hearts pure so that all we do reflects him and his love for souls. Humility is the key to serving with a servant’s heart, and in humility we remember that by the grace of God we do everything; not by the work of our own strength. The example was given of caring for a loved one who can no longer care for herself and reminds us that when it costs us a little something of ourselves and cannot be repaid or even acknowledged by others, we are aligned with the heart of Christ our Savior. ← Master, Guest or Servant? Thank you for the lovely well-thought out post! Always a good reminder of what we need to do! I am so blessed to have such beautiful sisters in Christ that share these reflections I report under “Encounters with Christ” category. I always wish I could bring everyone in to hear the pure love and wisdom that they share!